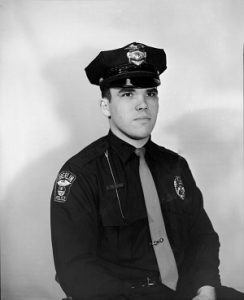 Patrolman Robert B. Woodall, a three year veteran of the Oberlin Police Department, was working the midnight shift and was last seen at approximately 4:30am on March 10, 1971. 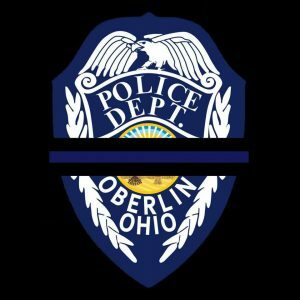 The other officers working became concerned when Patrolman Woodall failed to respond to radio calls and began a search for his location. At approximately 6:23am, officers located Patrolman Woodall’s cruiser which had left the icy roadway and sustained heavy damage after striking a tree in front of 45089 East Hamilton Street. Patrolman Woodall was located inside of the vehicle deceased. Oberlin City Manager, Edward Smith said, “Woody is gone, and there are feelings of regret, shock, remorse and concern. Robert certainly performed his duties conscientiously. He was a good officer.” His fellow officers further described him as brilliant and aggressive. 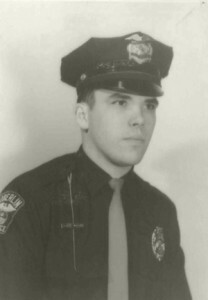 At the time of his appointment, Woodall said, “I have been looking forward to this for a long time and intend to make police work my career.” Patrolman Woodall was set to graduate with a bachelor’s degree from Oberlin College in May, 1971. Patrolman Woodall was survived by his wife, Christine, father, sister, and grandmother. Patrolman Woodall is buried with his wife at Oberlin Westwood Cemetery in Section R, Lot 036.5, Grave #2 and his name is inscribed on the National Law Enforcement Officers Memorial Wall, Washington, D.C., panel 51, west wall, line 8. Constable Franklin Stone succumbed to a gunshot wound sustained on May 12th, 1881, after a foot pursuit of a subject whom he was attempting to arrest at approximately 7:00pm. Constable Stone had arrested a man the previous day after serving an assault warrant. The man initially cooperated with Constable Stone and agreed to accompany him to the marshal’s office but then hesitated as they passed a blacksmith shop where his father and brother were working. The family members exited the shop and attacked Constable Stone, allowing the prisoner to escape. Constable Stone swore out warrants for the father and brother and then attempted to serve them on the following day. As Constable Stone attempted to arrest the brother, he fled on foot with Constable Stone firing at him as he gave chase. One of the rounds wounded the man, who ran to his home at 26 Mechanic Street (modern day Locust Street). 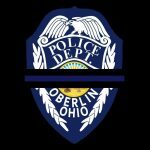 As Constable Stone reached the home, the man’s father exited the front door and shot him in the chest with a rifle as he was reloading his firearm. 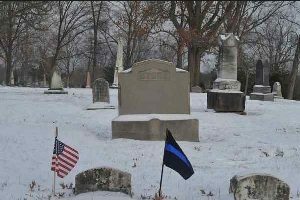 Constable Stone suffered a serious wound and was taken to his home on South Professor Street where he remained until passing away on June 5th, 1881. 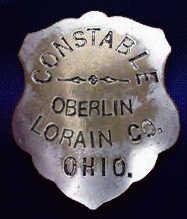 Constable Stone is the first recorded law enforcement death in Lorain County (Ohio) history. Constable Stone was survived by his wife, Huldah, and their four children. Constable Stone is buried with his family at Oberlin Westwood Cemetery in Section K, Lot 045, Grave #02B and his name is inscribed on the National Law Enforcement Officers Memorial Wall, Washington D.C., panel 6, west wall, line 31.